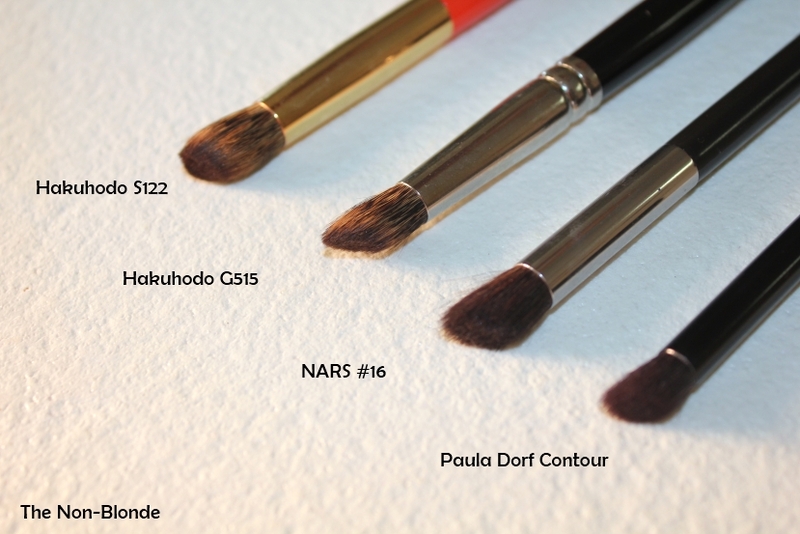 Hakuhodo G515 Eye Shadow Brush is very fluffy and steeply angled. In comparison, my other Hakuhodo angled brush, the S122 is almost flat at the top. 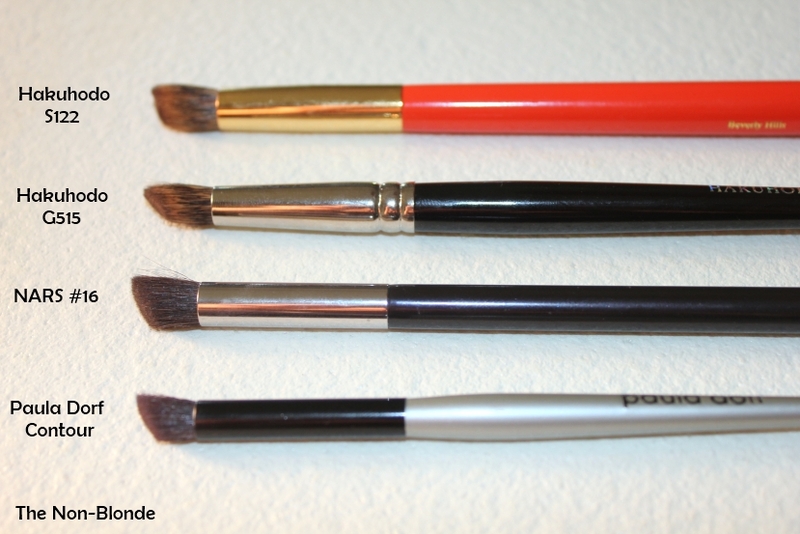 This makes the G515 especially suitable for creating a very defined and dark crease using the pointy part as well as for contouring or an allover wash (or just on the lid). 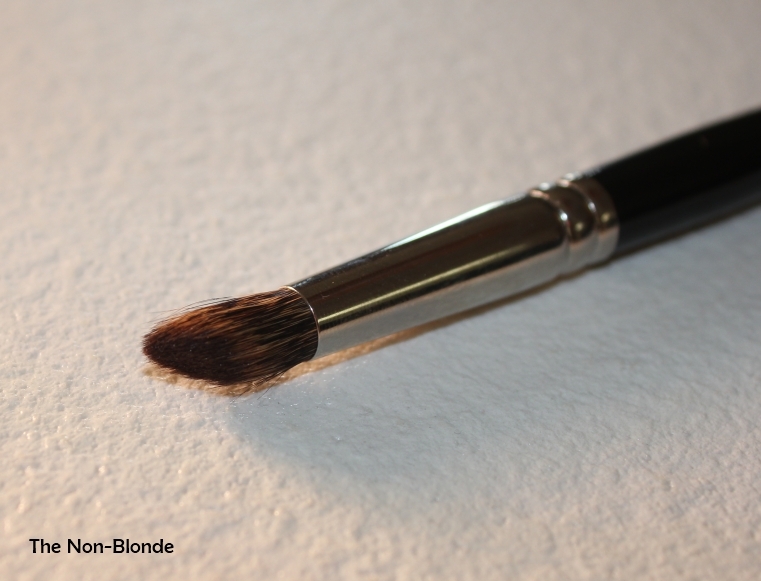 This incredibly soft brush is ideal for using with very soft and crumbly eye shadow formulas. It's not best for picking product that's pressed very firmly, but eye shadows such as Cle de Peau that tend to be hard to control without serious fallout let you see their full potential when used with this brush. 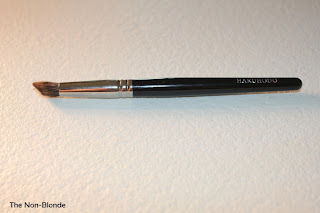 Hakuhodo G515 Eye Shadow Brush ($36) is available from hakuhodousa.com. They ship to anywhere in the world. Great review! 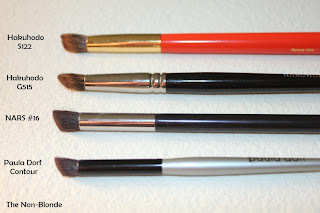 I know I don't comment on all of them, but I have been really enjoying reading your Hakuhodo brush reviews. Nice comparisons! I was glad to pick this up before the price increase. Looks like it went up $5. 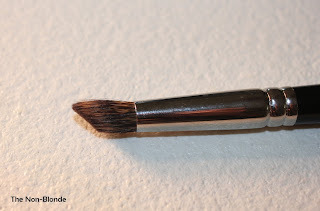 I prefer this to the Laura Mercier angle brush, first because it is softer and second because it's not as big, so I can control the darker crease colors better.